I’ve been so busy trying to finish my middle-grade novel that the publication date for my picture book snuck up on me. 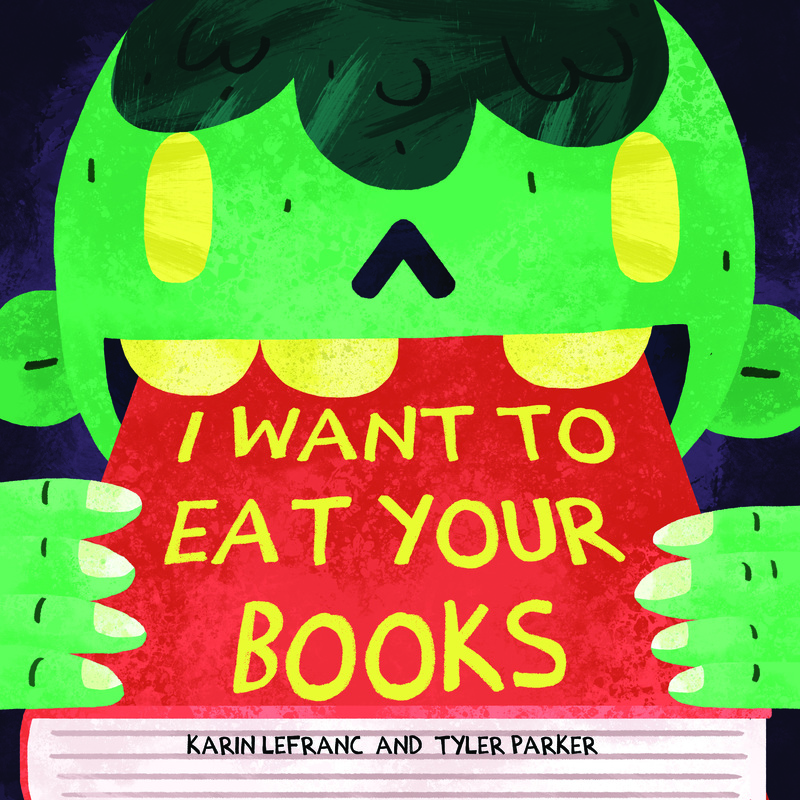 I Want To Eat Your Books is publishing September 22, and while I have a great publishing team at Sky Pony Press,we all know it takes a village—no a hundred villages—to launch and nurture our book babies as they flap their pages into the world! In addition to all the other things on my launch check list, I decided I needed a book trailer. If made professionally, these can be very expensive, and I didn’t have the time or money to fiddle around with that. But my technically challenged brain knew I also didn’t want to do it myself. For those of you who do want to do it yourself, check out this excellent post from the Creative pen here. A friend suggested I check out fiverr.com, a site which offers all kinds of services from graphics and writing to video and animation for $5. After a little searching, I found someone that seemed like a good fit. I made a great choice because Anne-Rae was beyond fabulous. I ended up paying about $50 which included revisions and tip. She was open to all my suggestions and the final trailer exceeded all my exceptions. A book trailer shouldn’t be too long. We all know the first thing we do when we finally click on any video is see how long it is. We don’t want to lose our view half-way through. I wanted it under 60 seconds and it came out at 50 seconds. The object of a book trailer is to want the viewer to read/buy your book so your pitch has to entice them to do just that. Some trailers go on too long and give too much away. Keep it short and sweet and leave the viewer intrigued and wanting more. A book trailer is a form of advertisement so it needs a call to action. Your final screenshot should show where viewers can purchase the book. In mine I said, “Available anywhere human books are sold,” but you can be as specific as you want from your own website to your closest independent book store or Amazon and Barnes & Noble. If your book is funny add humor to your book trailer. If it’s scary, scare us a little. If it’s romantic, make us swoon. I tried to insert a little humor with my call to action—see #3 as well as making my script funny. Not sure if I succeeded but at least I tried! Thanks to Anne-Rae’s suggestion I added my website to the final screen shot along with my publisher’s logo. And without further ado, here is my book trailer! It’s not perfect but not bad considering my limitations. Hope you agree!